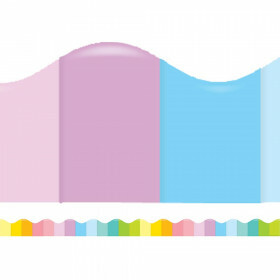 Make some waves in your classroom with this contemporary Waves scalloped border. 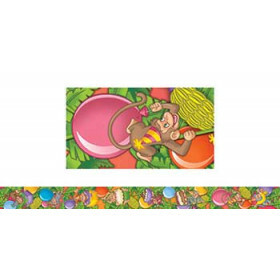 This design will add color to any class creation, bulletin board, window, locker, or anywhere a touch of style is needed. 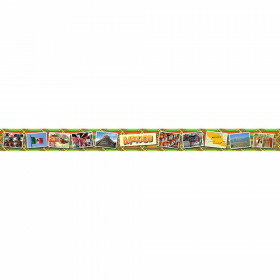 Perfect to use alone or in layers, borders are available in packs of thirteen 3' x 2.25" strips for a total length of 39'. Looking for something similar? 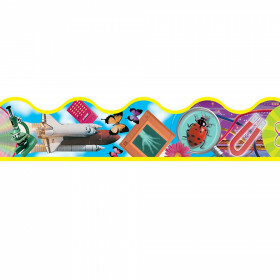 View our Classroom Bulletin Board Borders and Trimmers or Classroom Decorations sections to find more classroom supplies items similar to Waves Scalloped Borders. 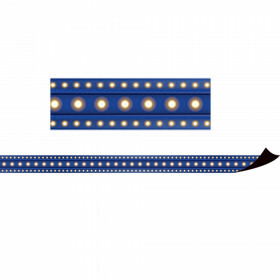 This item may also be listed in our teacher supplies store catalog with item IDs CDP108134,CD108134,9781620573037.